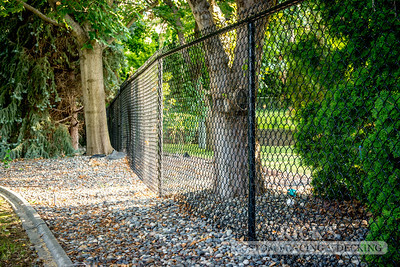 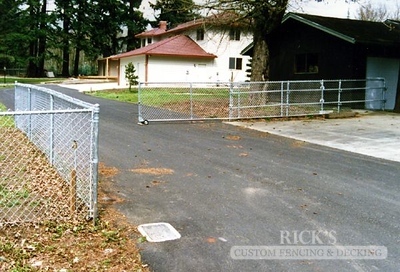 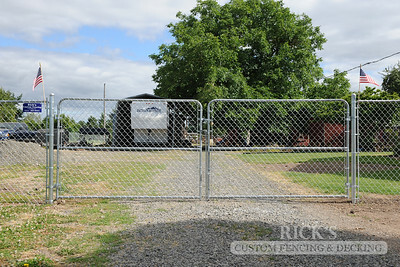 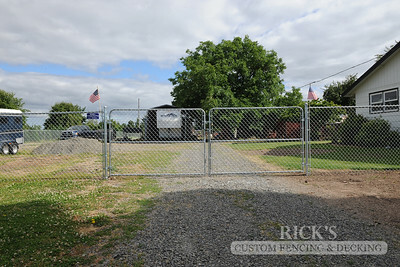 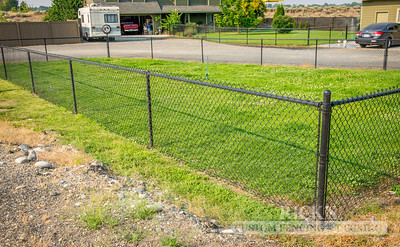 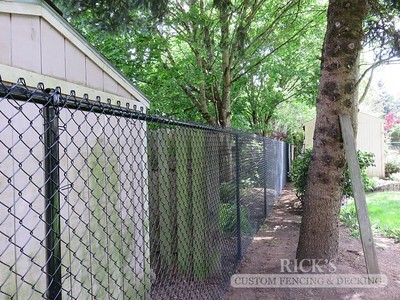 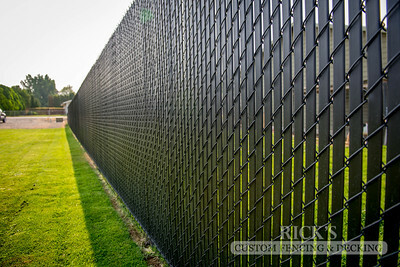 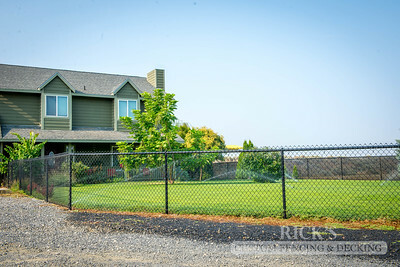 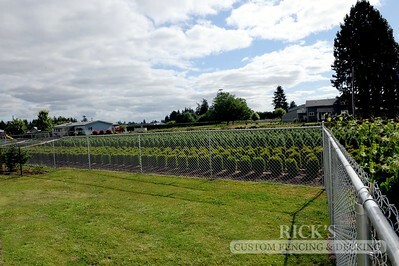 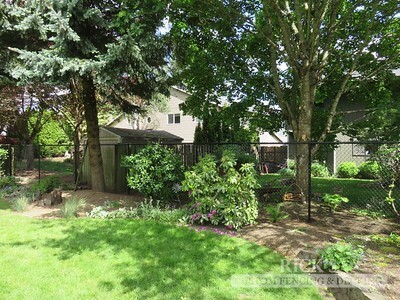 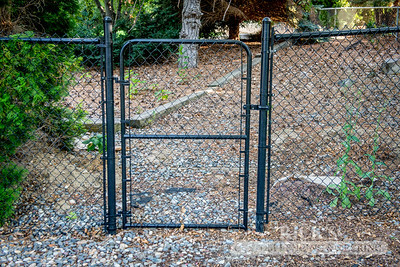 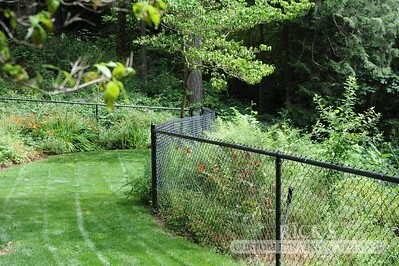 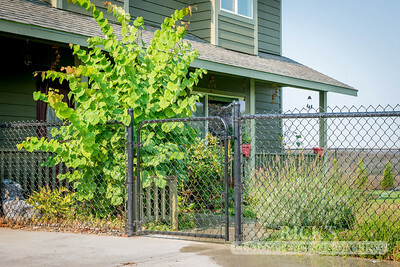 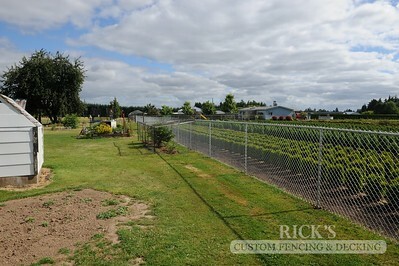 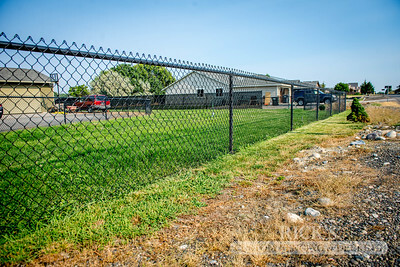 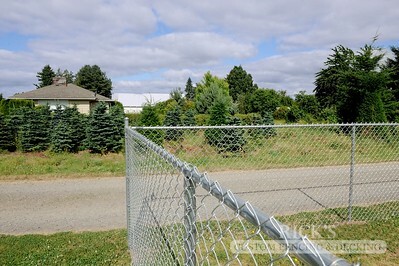 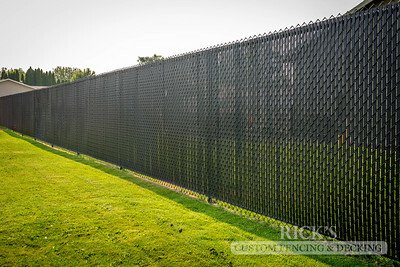 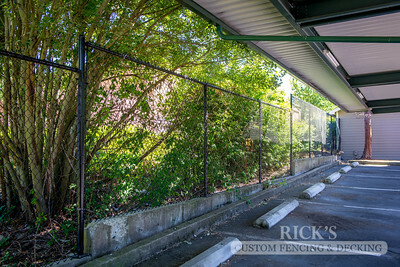 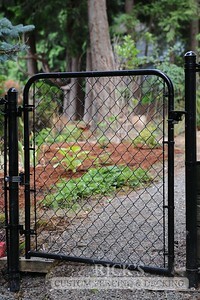 Fencing constructed from black chain link material. 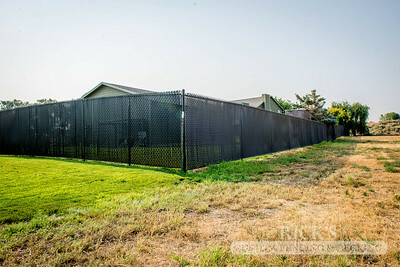 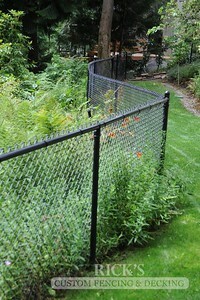 Fencing constructed from black chain link material and black privacy slats. 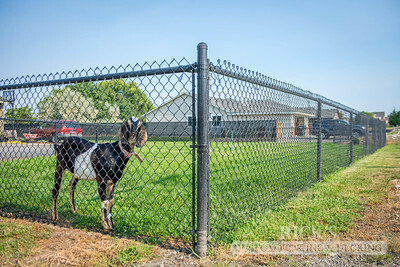 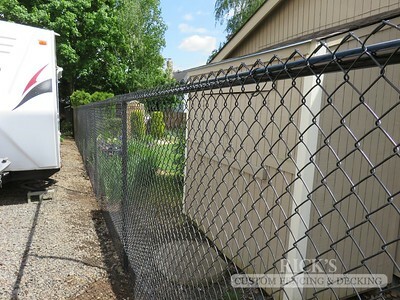 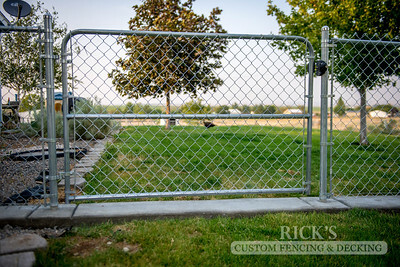 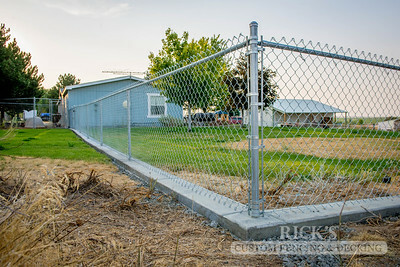 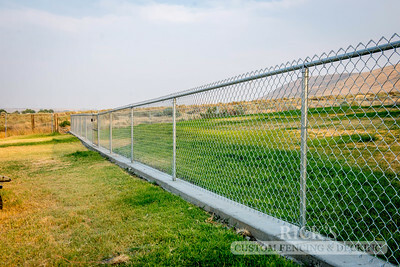 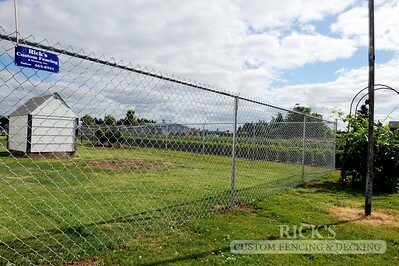 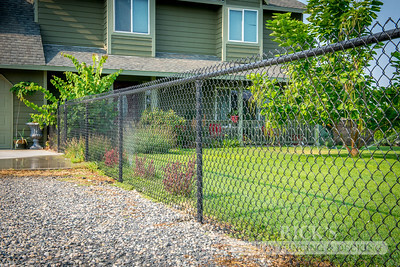 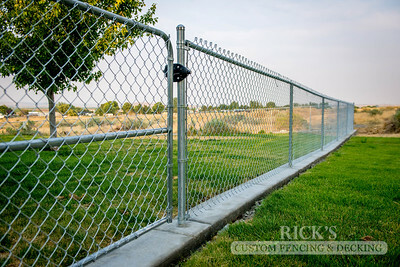 Fencing constructed from galvanized chain link material.